An excellent value for your next build, this complete upper includes the bolt carrier group. Just add it to any lower and you’re ready to go! This Bushmaster XM15 A3 upper comes fully assembled with charging handle, forward assist, ejection port cover, bolt and bolt carrier assembly, and it will attach to any standard AR-15 lower receiver. The 16″ chrome lined barrel features a 1/9 twist for durability and accuracy. 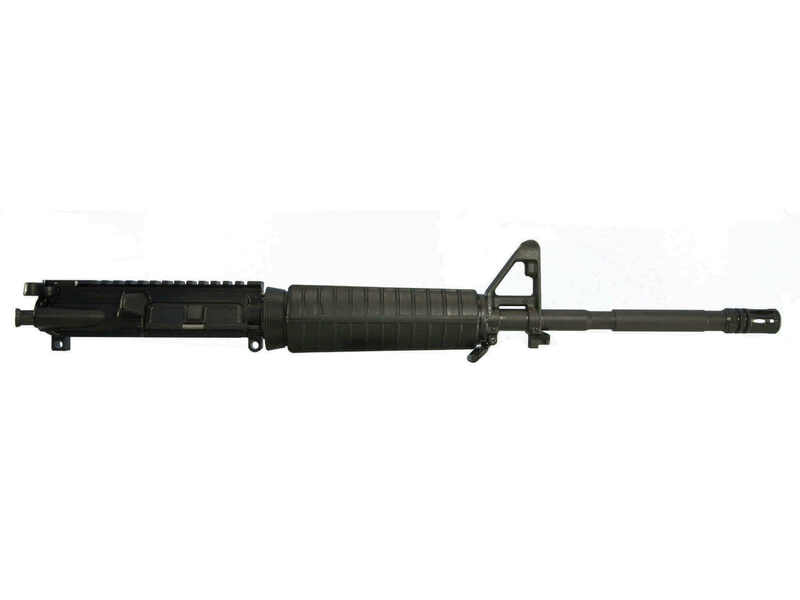 The barrel has a pinned front sight post with bayonet lug, a standard handguard, and a standard A2 flash hider. A rear sight is not included – just add a flip-up sight and/or optics and you’re ready to go.